This time of the year I seem to get several calls from school districts in the states that are searching for one or multiple portable classrooms for sale. At the same time I get calls from schools and churches that want to remove perfectly good used portable modular classrooms from their campuses. Why? So they can either move new modular classroom trailers in...or they recently completed construction and no longer need the temporary portable classrooms. 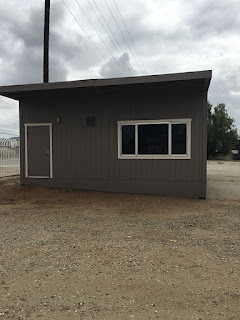 For example, today I received a call from a contractor who is responsible for removing twenty-four 24' x 40' portable classrooms from a school campus in Riverside County, California and all they want is $2,000 for each structure plus the cost of removal. A few days ago I took another call from a large church in Atlanta, Georgia that has a 36' x 60' modular classroom available for the relatively low cost of removal. In some cases a school district or church will simply donate their modular buildings to another organization in need of space - this leaves only the costs for removal, transportation and set up. In other instances the portables can be purchased for a very affordable price plus the one time charges for relocation and installation. 1. Contact your local school districts and inquire about their used portable classrooms or call me (Matt Banes) directly at (800) 806-7485. 2. 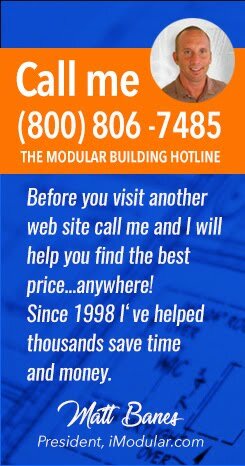 Complete the form below and see if your local modular building supplier has some inexpensive used classrooms for you to buy or rent - or at least compare prices and shop smart.